Hey crafty friends! 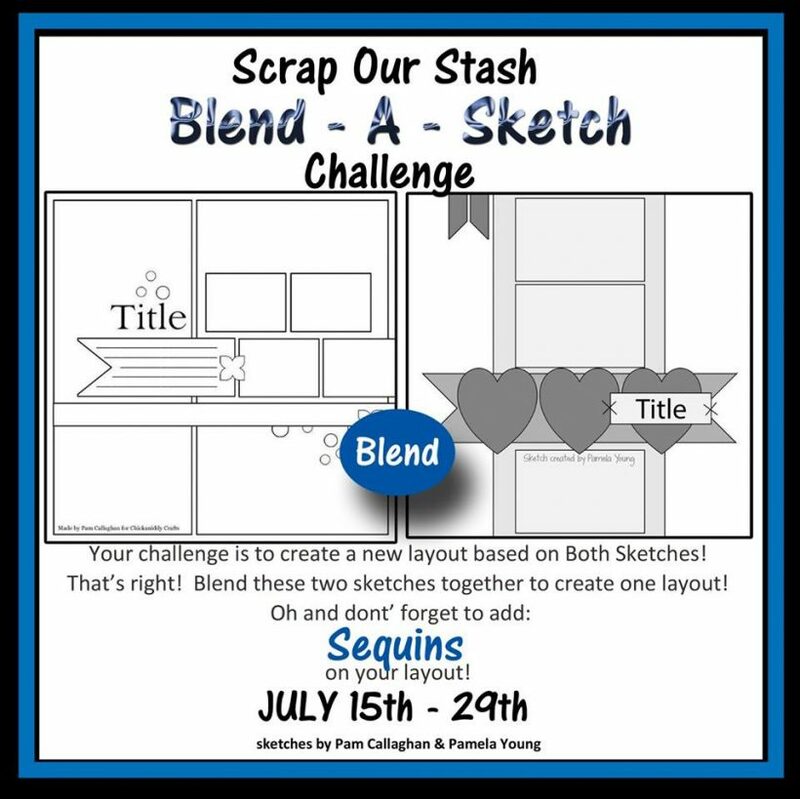 I’m so excited to be with you today as I’m sharing my first design team project for Scrap Our Stash. 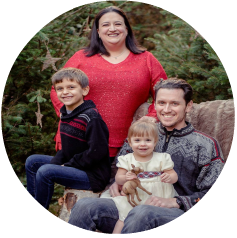 As their name implies they are all about getting those photos on a page using the stash you have! 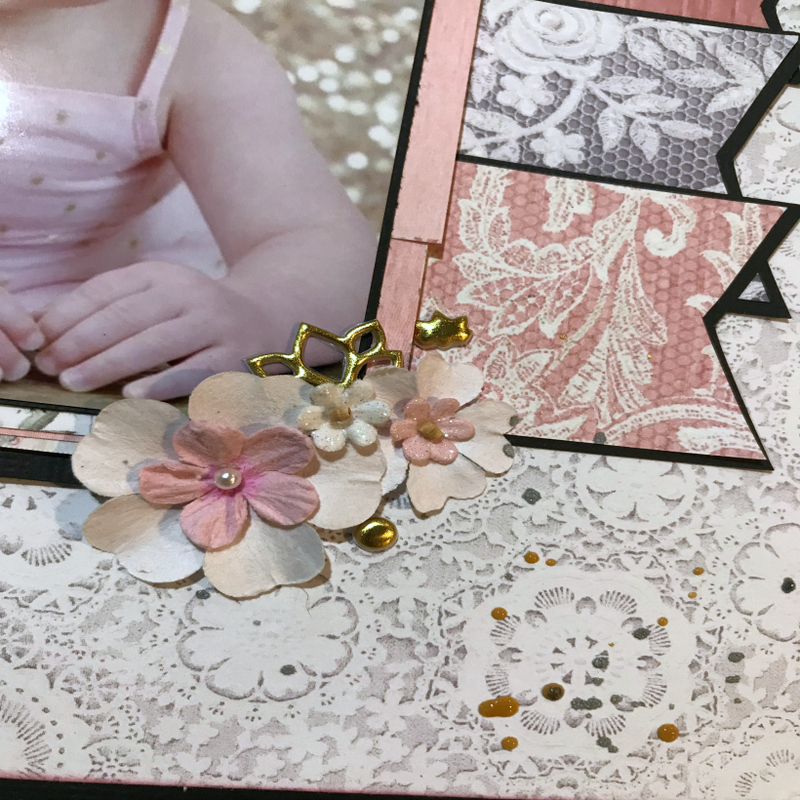 Today I created a Mommy and Me scrapbook layout to go with the theme. These are VERY old photos of our son and I on the carousel at Sesame Place. You can tell he loved it by his smiles, but it would be another three years before he wasn’t scared to go on again. What the heck is up with that folks! My papers are also from a super old collection from Echo Park. It’s so old in face that I can’t find iron their website anymore. 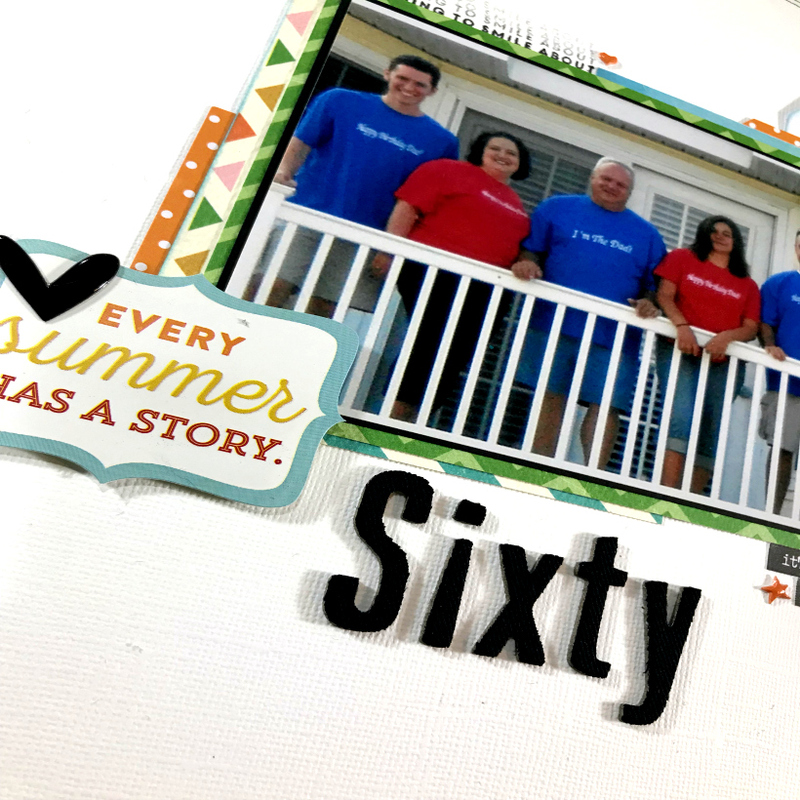 The design is also a scraplift of my friend Stacia at the Dancing Daisy Designs. 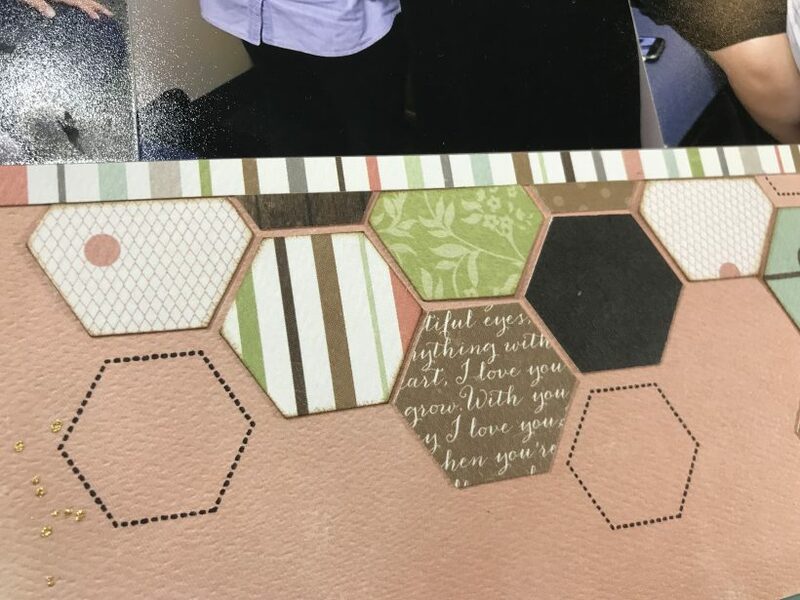 She created die cuts for use on her page and really needs to start a blog again because she makes the best pages. Now I’m sure you are wondering how I got my page from the challenge. 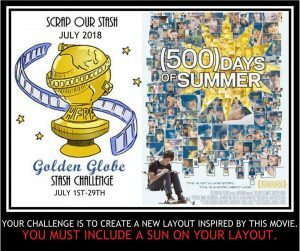 I had never heard of, or seen, 500 Days of Summer before this challenge. It wasn’t available on Netflix, or our local Redbox, so I went and read a synopsis online. 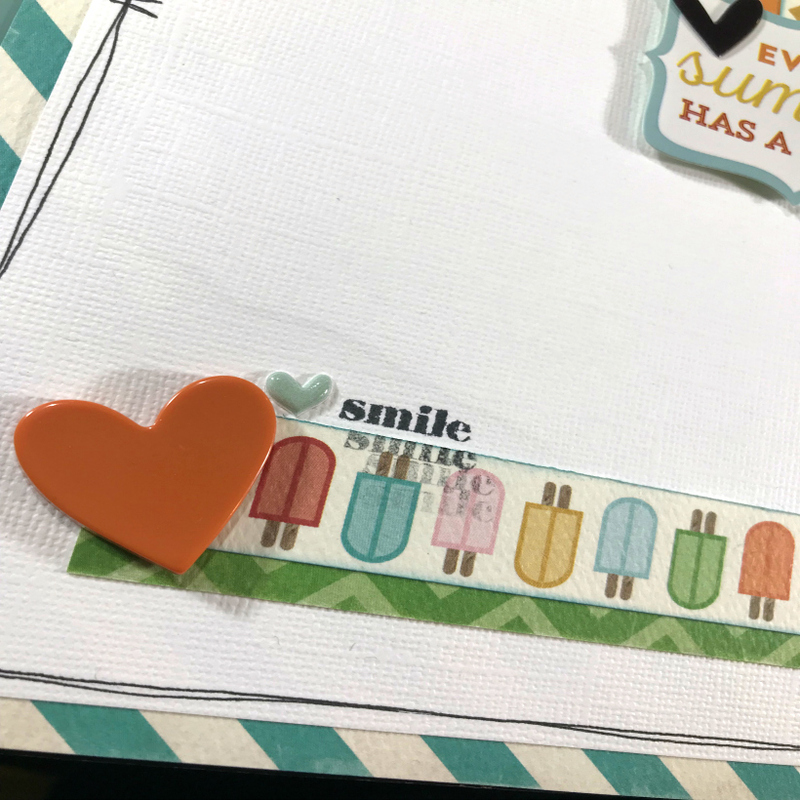 There wasn’t anything obvious jumping out at me for a layout so I went super simple and used the theme Summer. 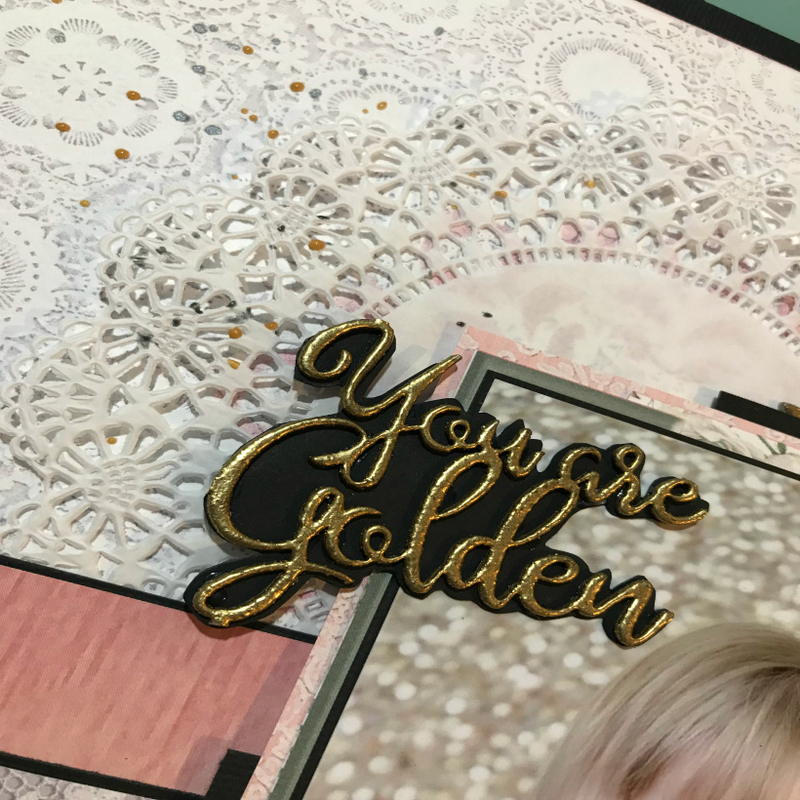 I used a sun wood veneer as one of my embellishments to satisfy that part of the challenge. Have you see the film? 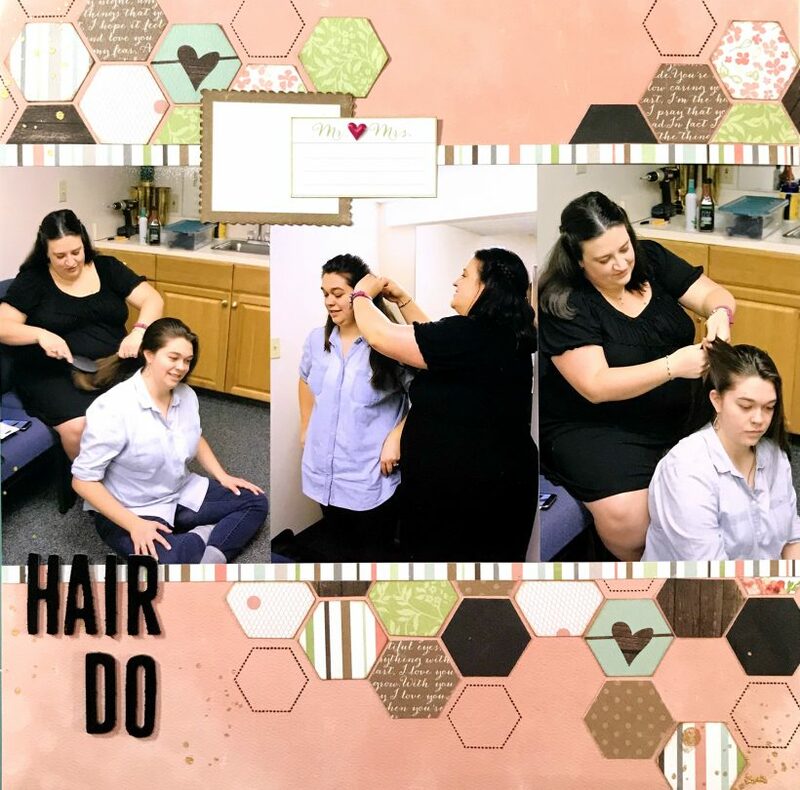 Thank you for reading along and seeing how I completed this challenge, and I can’t wait to see how you do if you choose to participate. Don’t forget to leave me a link if you do so I can be sure to comment. 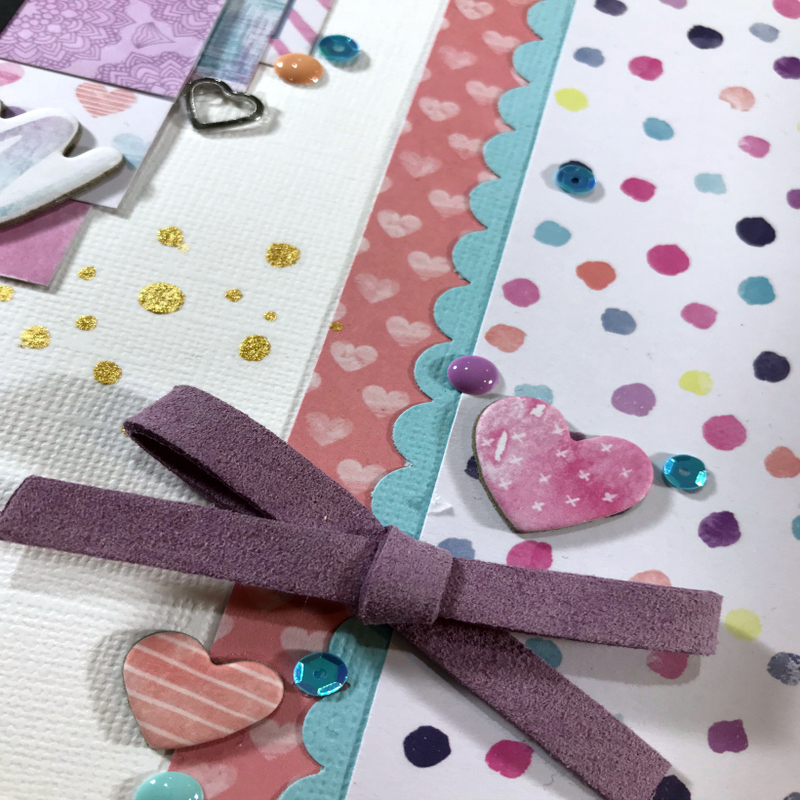 Until next time….stay crafty!